The purpose of this study is to determine the anthropometric profile of elite women’s volleyball players in the Philippines. Thirty-six (n=36) subjects with a mean age of 23.9 + 3 years participated in this study and were measured by ISAK-certified anthropometrics. Results showed that elite Filipino women’s volleyball players are relatively taller and heavier than average Filipino females but smaller and lighter than most internationally-successful women’s volleyball teams. They are in the athletic body fat percentage range with a somatotype of endomorph-mesomorph on average. Middle blockers are tall, thin and lean with a mean central somatotype with lengthy extremities. Outside hitters and opposite spikers are relatively tall, lengthy, and muscular with a mean endomorph-mesomorph somatotype. Liberos are shorter and lighter overall with low body fat and a generally endomorphic mesomorph somatotype. Setters are relatively shorter, heavier and larger with higher body fat and an endomorph-mesomorph somatotype on average. Various similarities and differences with related studies are also discussed. Aouadi R, Chedly M, Khalifa R, Hermassi S, Souhaiel Chelly M, Van Den Tillaar R, Gabbett T. Association of anthropometric qualities with vertical jump performance in elite male volleyball players. J Sports Med Phys Fitness 2012; 52(1): 11-17. Carvajal W, Betancourt H, León S, Deturnel Y, Martínez M, Echevarría I, Castillo M, Serviat N. Kinanthropometric profile of Cuban Women Olympic Volleyball Champions. MEDICC Review 2012; 14(2): 16-22. Duncan M, Woodfield L, Al-Nakeeb Y. Anthropometric and physiological characteristics of junior elite volleyball players. Br J Sports Med 2006; 40(7): 649-651. Faber I, Oosterveld F, Nijhuis-Van der Sanden R. A first step to an evidence-based talent identification program in the Netherlands; a research proposal. 12th ITTF Sports Congress. Retrieved from http://www.ittf.com/ittf_science/SSCenter/docs/04-42%20Faber.pdf, 2011. Fattahi A, Ameli M, Sadeghi H, Mahmoodi B. Relationship between anthropometric parameters with vertical jump in male elite volleyball players due to game’s position. J Hum Sport Exerc 2012; 7(3): 714-726. Fédération Internationale de Volleyball. Rio 2016 volleyball – women’s teams. Retrieved from http://rio2016.fivb.com/en/volleyball/women/teams, 2016. Fernández JA, Rubiano PA, Hoyos LA. Morphological profile of high-achieving volleyball players review article. Rev Int Med Cien Act Fis Deporte 2017; 17(68): 775-794. Gabbett T, Georgieff B. Physiological and anthropometric characteristics of australian junior national, state, and novice volleyball players. J Strength Cond Res 2007; 21(3): 902-908. Gaurav V, Singh M, Singh S. Anthropometric characteristics, somatotyping and body composition of volleyball and basketball players. J Phys Educ Sport Manag 2010; 1(3): 28-32. Henson J. Volleyball on the upswing. PhilStar Global. Retrieved from http://www.philstar.com/sports/2015/11/21/1524145 /volleyball-upswing, 2015. Koley S, Singh J, Sandhu J. Anthropometric and physiological characteristics on Indian interuniversity volleyball players. J Hum Sport Exerc 2010; 5(3): 389-399. Kim M, Cruz A, Kim H. Anthropometric profiles of Filipino badminton collegiate players. Asia Life Sci 2013; 22(2): 1-6. Kim M, Bercades L, Pieter W, Cruz A. Performance characteristics of filipino collegiate athletes. Asia Life Sci 2014; 23(1): 187-194. Lidor R, Ziv, G. Physical and physiological attributes of female volleyball players-a review. J Strength Cond Res 2010; 24(7): 1963-1973. Lozada, B. Filipinos second-shortest in Southeast Asia. Retrieved from http://globalnation.inquirer.net/102688/filipinos-second-shortest-in-southeast-asia, 2014. Malá L, Malŷ T, Záhalka F, Bunc, V. The profile and comparison of body composition of elite female volleyball players. 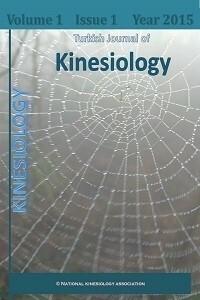 Kinesiology 2010; 42(1): 90-97. Malousaris G, Bergeles N, Barzouka K, Bayios I, Nassis G, Koskolou M. Somatotype, size, and body composition of competitive female volleyball players. J Sci Med Sport 2008; 11: 337-344. Malŷ T, Malá L, Záhalka F, Balá J, Čada M. Comparison of body composition between two elite women’s volleyball teams. Gymnica Acta Univ Palack Olomuc 2011; 41(1): 15-22. Merrett H. Winning volleyball skills. Retrieved from http://www.winningvolleyballskills.com/loadDown/WinningVolleyballSkills.pdf, 2004. Mielgo-Ayuso J, Calleja-González J, Clemente-Suárez V, Zourdos M. Influence of anthropometric profile on physical performance in elite female volleyballers in relation to playing position. Nutr Hosp 2015; 31(2): 849-857. Milistetd M, Mesquita I, Souza Sobrinho A, Carrara P, Nascimento J. Coaches representation about detection and selection of talents on the Brazilian volleyball. Int J Sports Sci 2013; 3(5): 157-162. Ochosa M. The future is bright for Philippine volleyball. Retrieved from http://www.rappler.com/sports/by-sport/volleyball/110062-future-philippine-womens-volleyball, 2015. Palao J, Manzanares P, Valadés D. Anthropometric, physical, and age differences by the player position and the performance level in volleyball. J Hum Kinet 2014; 44: 223-236. Papadopoulou S. Anthropometric characteristics and body composition of Greek elite women volleyball players. Kinanthropometry, 7th ed., Pochefstroom, Pochefstroom University for Christian Higher Education, 2003. Sheppard J, Gabbett T, Stanganelli L. An analysis of playing positions in elite men’s volleyball: considerations for competition demands and physiologic characteristics. J Strength Cond Res 2009; 23(6): 1858-1866. Trajković N, Milanović Z, Sporiš G, Radisavljević, M. Positional differences in body composition and jumping performance among youth elite volleyball players. Acta Kinesiol 2011; 5(1): 62-66. Zhang Y. An investigation on the anthropometry profile and its relationship with physical performance of elite Chinese women volleyball players. Graduate thesis, Southern Cross University, Lismore, New South Wales, 2010.